With the help of friends, I was finally shown a needle in a haystack. I’ve searched long and hard for the cavity roosting Megascops kennicottii. I have repeatedly checked known roost sights with no success. 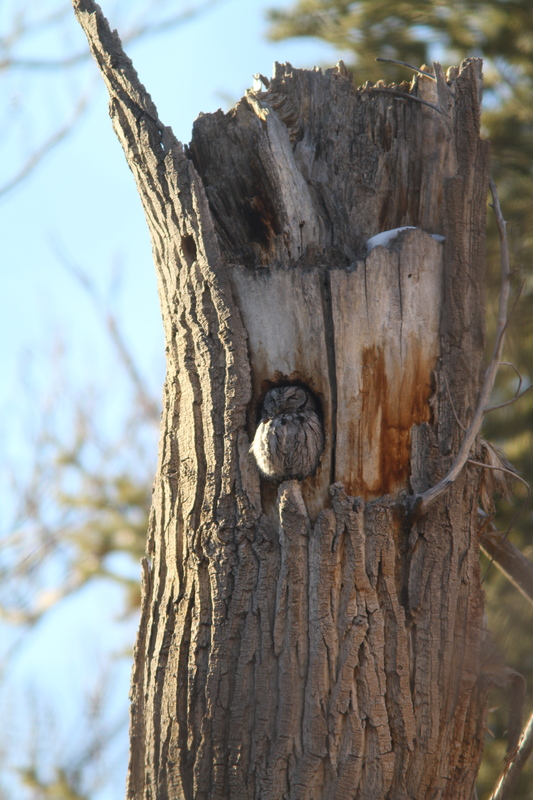 After my experience the past summer with the Western Screech Owl, I became even more obsessed with finding the bird in daylight. Sometimes it’s about knowing the right people and getting lucky. It is important to remain respectful when finding a treasure such as a roosting owl. The stress the bird undergoes if it is flushed can be detrimental, especially in the winter months. 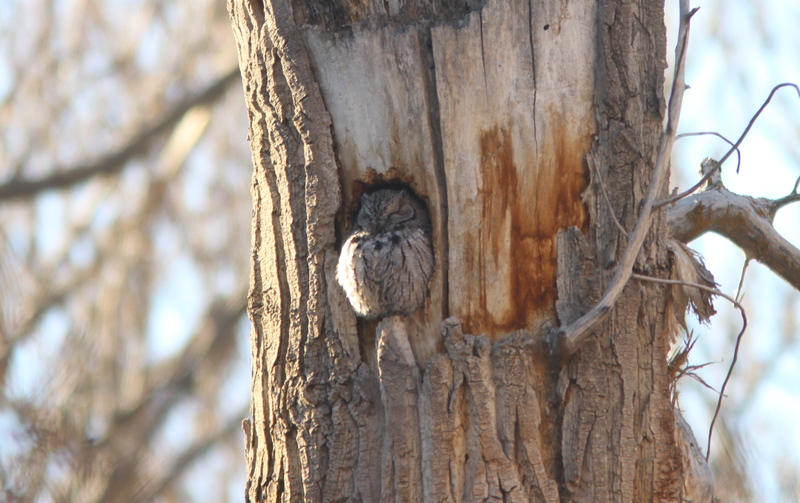 If you are ever so lucky to find a roosting owl, glimpse the bird and move along. Do not overstep your bounds. After all, it would be worthwhile to ensure that the bird is comfortable with the roost sight, feeling safe and sound to return time and time again. It is then that you will be sure to have plenty of opportunities to watch the daytime dozings of the darkness dwellers.